[Euractiv.com] Russian Prime Minister Dmitry Medvedev threatened on Tuesday (5 August) to retaliate for the grounding of a subsidiary of national airline Aeroflot because of EU sanctions, with one newspaper reporting that European flights to Asia over Siberia could be banned. Low-cost carrier Dobrolyot, operated by Aeroflot, suspended all flights last week after its airline leasing agreement was cancelled under European Union sanctions because it flies to Crimea, a region Russia annexed from Ukraine in March. “We should discuss possible retaliation,” Medvedev said at a meeting with the Russian transport minister and a deputy chief executive of Aeroflot. The business daily Vedomosti reported that Russia may restrict or ban European airlines from flying over Siberia on Asian routes, a move that would impose costs on European carriers by making flights take longer and require more fuel. Vedomosti quoted unnamed sources as saying the foreign and transport ministries were discussing the action, which would put European carriers at a disadvantage to Asian rivals but would also cost Russia money it collects in overflight fees. Shares in Aeroflot – which according to Vedomosti gets around $300 million a year in fees paid by foreign airlines flying over Siberia – tumbled after the report, closing down 5.9% compared with a 1.4% drop on the broad index. At the height of the Cold War, most Western airlines were barred from flying through Russian airspace to Asian cities, and instead had to operate via the Gulf or the US airport of Anchorage, Alaska on the polar route. European carriers now fly over Siberia on their rapidly growing routes to countries such as China, Japan and South Korea, paying the fees which have been subject to a long dispute between Brussels and Moscow. Vedomosti quoted one source as saying a ban could cost airlines like Lufthansa, British Airways and Air France €1 billion over three months, but industry experts said that figure was probably too high. Avoiding Russian airspace would probably be 25-50% more expensive than paying fees for transit, said Russian aviation consultant Boris Ryabok, estimating European airlines would lose around $100-200 million per year, less than the cost to Russia of the lost fees. Lufthansa said it operates about 180 flights a week through Siberian airspace but declined further comment, as did British Airways. The EU has widened its sanctions after last month’s downing of a Malaysian airliner over territory in eastern Ukraine controlled by pro-Moscow rebels, with the loss of 298 lives. 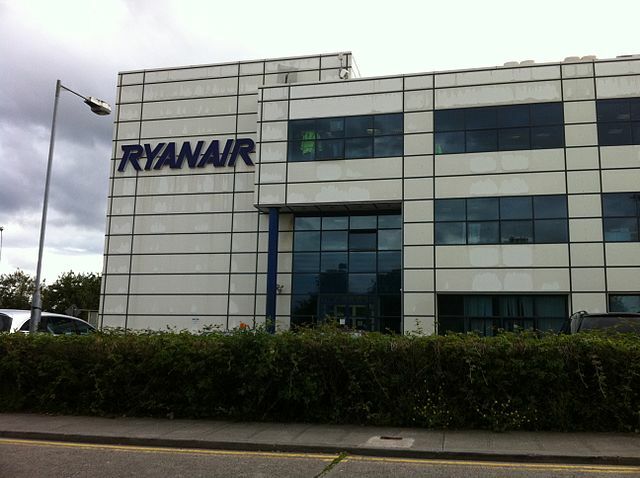 Read the full story at Euractiv.com…..
[BBC News] The doors on both engines of the flight that made an emergency landing at Heathrow last week had been left unlatched, investigators have found. Air accident experts said the coverings – the fan cowl doors – broke off and punctured the right engine’s fuel pipe, damaging the aircraft’s systems. A fire then broke out in the right engine of the Airbus A319 British Airways flight to Oslo. 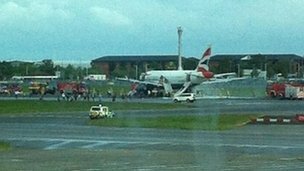 The jet landed safely and its 75 passengers and crew were evacuated. 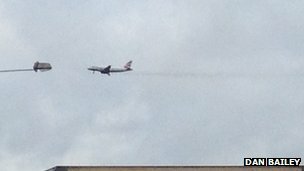 The aeroplane returned to Heathrow soon after taking off last Friday when black smoke was seen coming from an engine. The findings were made in an interim report by the Air Accidents Investigation Branch (AAIB), which is examining the cause of the emergency. The fire in the right engine broke out as the flight prepared to land, but the left engine was unaffected, the AAIB report said. “Subsequent investigation revealed that the fan cowl doors on both engines were left unlatched during maintenance and this was not identified prior to aircraft departure,” the report added. Mr Williams added that he could not discuss any details while the inquiry continued. Transport Secretary Patrick McLoughlin said the report contained “serious findings”, adding that the aviation industry “must act immediately to take the appropriate safety action and ensure that all lessons are learnt from what has happened”. 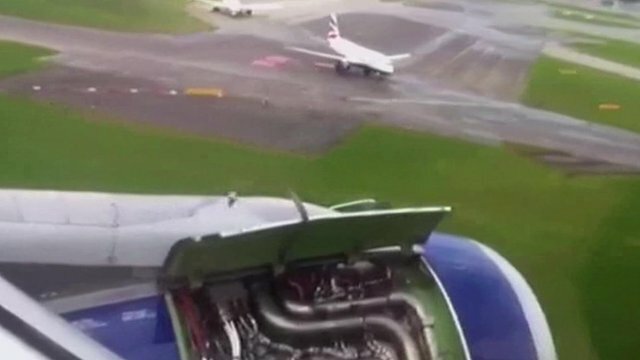 BBC transport correspondent Richard Westcott said British Airways had confirmed that two different engineers would normally check whether a plane’s engine covers had been shut before take-off. “One checks, the other double-checks – that’s clearly not happened in this case,” he said. Mr Westcott added that BA’s mechanics were all staff of the airline, which would not say if anyone had been suspended. The aircraft underwent normal overnight maintenance which included opening the cowl doors and checking the oil levels, the report said. Nothing unusual was noted during the checks before the flight took off, but the cowl doors would have been “difficult to see unless crouched down so that the bottom of the engine is clearly visible”. As the plane took off the 50-year-old pilot reported feeling a “slight bump” and thought the aircraft had run over a light on the runway. Air traffic controllers alerted the pilot about the flight leaving some debris on the runway, which later turned out to be the detached cowl doors. 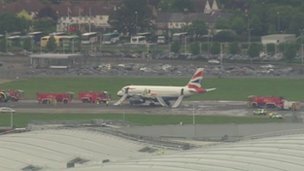 When the crew realised the doors had broken off, causing a “significant fuel leak” and affecting the hydraulic system, the pilot decided to return to the airport. The cowl doors also damaged the tyres, landing gears and the hydraulic brake pipe. The right engine was “extensively damaged” in the fire, the report said. Read the rest of this story at BBC News…..
[BBC News] Virgin Atlantic has unveiled details of its UK domestic service, including that the operation is called Little Red. t will launch on 31 March in Manchester, 5 April in Edinburgh and 9 April in Aberdeen, providing a total of 26 daily services to Heathrow airport. Virgin won key take-off and landing slots at Heathrow after the struggling carrier Bmi was taken over by British Airways’ parent company IAG. 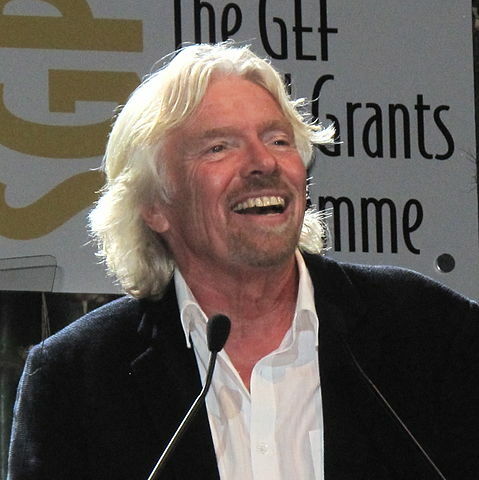 Virgin founder Sir Richard Branson said Little Red will go head-on with BA. 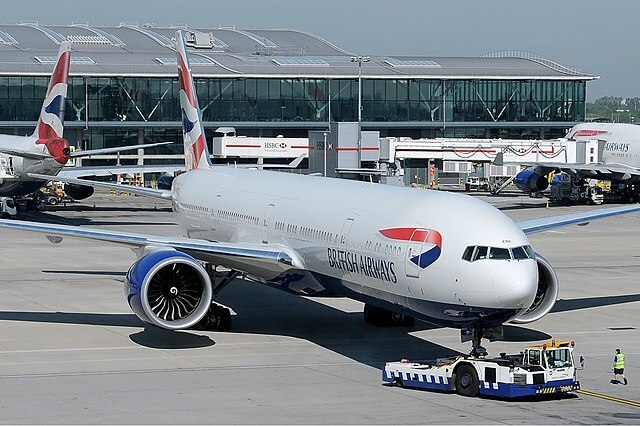 BA operates around 52 daily flights between Heathrow and Aberdeen, Edinburgh and Glasgow. BA also runs services to Scotland from Gatwick and London City airports. Virgin Atlantic hopes that Little Red, which will use Heathrow Terminal 1, will help feed traffic onto its international service operating from Terminal 3.